In early 2013, I became publisher and co-founder of the publishing company, Moonshine Press. 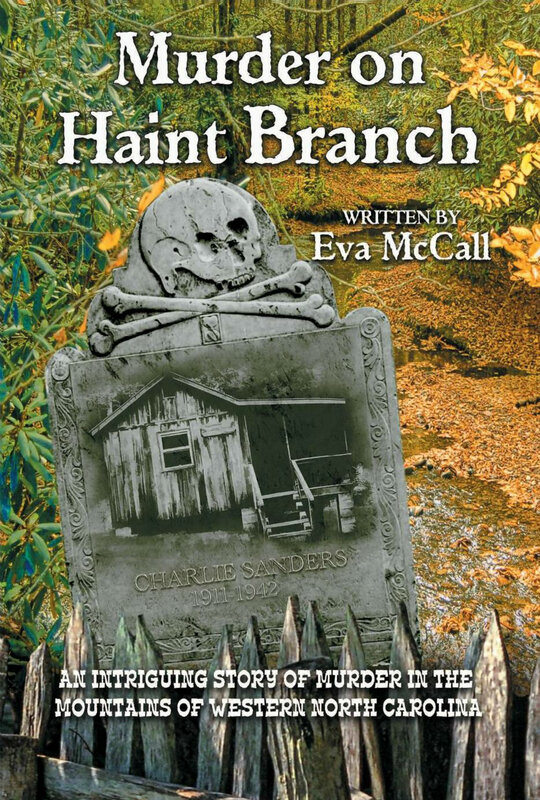 The project began in late 2012, when Eva McCall, local Franklin author, and my great-aunt, expressed interest in publishing her manuscript, Murder on Haint Branch. While I didn’t have experience in either publishing or running a publishing company, I was eager to learn in what I knew would be an exciting venture. On April 1, 2013, after working on the publication of Murder on Haint Branch for over 6 months, the book was published. During those six months, I worked with Barbara McRae, former editor of The Franklin Press an d editor of MOHB, Suzanne Harouff, owner of Books Unlimited, and the Dolly Parton management, who endorsed MOHB on the back cover. Since the release date, the book has sold close to a thousand copies, with copies continuing to be sold everyday. In the summer of 2013, Eva expressed interest in publishing her oldest manuscript, Button Box. Several months afterward, Eva began the editing process and pursued a release date for early 2014. On January 14, 2014, Button Box was released to much anticipation. Without much promotion, the book has sold hundreds of copies with many more copies to be sold in the future. As of 2014, I have been writing my debut book titled A Guide to Historic Dillsboro. The book celebrates the 125th anniversary of the founding of Dillsboro, looking into the history of the town and recognizing the local merchants. The book was co-authored by Michael Lovett and Susan Shelton. The book was written for Dr. Betty Farmer’s Public Relations Campaign class. All proceeds will go to the Appalachian Women’s Museum. The book was released in August 2014. Later on in 2014, we were proud to welcome Timm Muth to the Moonshine Press family, as well as his debut novel, Disciple of the Flames. It was funny, because I was interviewing Timm for the Dillsboro book when he mentioned that he had written an epic fantasy novel. I was so intrigued by what he said, I asked him to send me the manuscript. And in no time, we had him published! After the release of A Guide to Historic Dillsboro and the production of Timm’s novel, I had discovered that I really enjoyed the writing experience. So, I began the production of my debut novel, The One, in late 2014. I released it in 2015, and have received glowing reviews. My debut novel was such a pleasant experience, I realized that not only publishing was a passion of mine, but writing was too. So, I began the production of my second novel, Aluria, in early 2015. Like The One, Aluria was written in 5 months. The publishing process of the book began shortly after. And I am proud to say that Aluria will be available to readers on May 7, 2016. But my journey doesn’t stop there. I have already began the writing of the sequel to Aluria, and I expect to be finished with the manuscript in late 2016. The year 2016 is an important year for Moonshine Press because not only does Aluria increase the number of books that we have published under the name, but we also have a new author joining our team of talented writers. Deanna Lawrence is a two-time Emmy award winner who was a journalist for 30 years in Tampa, FL. Since retiring, she has written a memoir, Sometimes…A Storyteller’s Journal, which takes a second glimpse at the stories that Deanna remembers over the years of reporting.